Philomena’s Accountants & Tax Consultants Ltd are an accredited local family run accountancy practice based south of Lincoln with over 10 years experience. We look after many small to medium sized businesses in and around Lincolnshire and have a customer base that is rapidly growing. Please call 01522 686597 to arrange your free hour consultation. We are flexible and can offer out of hour’s appointments at our office, should you not be able to attend during working hours. 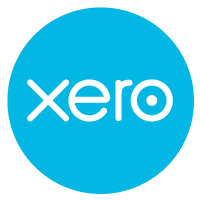 More here about how easy it is to change accountants and how we are better and very up to date and proper digital and stuff!